In the last decade or so a startling revelation about what it takes to retire is highlighting the fact that without a solid retirement plan many millennials may need to continue working into their 70s or beyond. From a cultural context, millennials are the off-springs of the baby-boomer population. 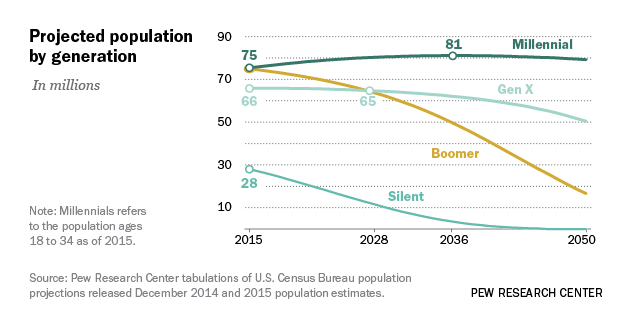 Based on U.S. Census records, millennials have now surpassed Baby Boomers as the nation’s largest living generation. The economic relevance of populace is clearly demonstrated by the influence baby-boomers have had on the economy. It is even more evident in the financial struggle currently facing many millennials for financial stability. Significant shifts in the nine to five workplace structure has made the issue of job security tenuous. These changes have also contributed to the reallocation of the burden of retirement from employers to the employee. Whether they are aware of it now or later, many millennials will be faced with the fact that the work + pension = retirement formula no longer exists. 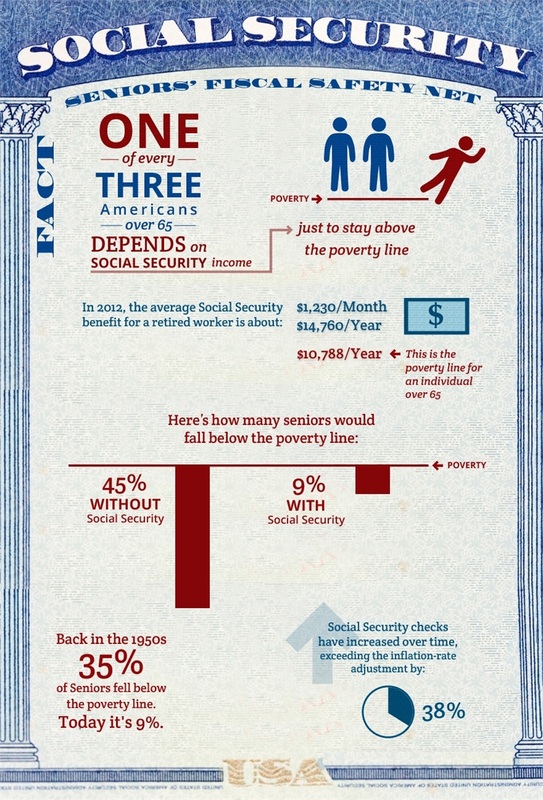 The impact of technology coupled with misconceptions about the importance of preparation for early retirement has also increased the number of retirees currently living below the poverty line. In fact; based on current economic projections, retiring at 75 is shaping up to be the new norm for the millennial demographic. The good news is that there are some proactive steps that millennials can take to avoid having to work until they are 75 or older. In fact; some financially savvy individuals in this generation have already begun to implement some of the following steps. At what age, would I “ideally” want to retire? What are some of the things I would like to do during retirement? Based on my current income potential, how much can I realistically save to achieve my retirement goals? By placing emphasis on retirement early in their careers, millennials can have a better handle on the personal planning, commitment and choices they need to make now that will help to ensure a successful retirement. Create a Budget. Financial experts advise that creating and adhering to a budget is one way to find innovative ways to allocate more to retirement savings. The greatest benefit of a budget is that it helps to keep spending under control. Surveys show a large share of millennial income is spent on housing, transportation, food and entertainment. A budget help to clarify areas in which some or all of these expenses can be trimmed so that more funds can be allocated to debt repayment, investments and saving for retirement. Be strategic about retirement planning. According to a 2014 Voya Financial survey, two-thirds of millennials had no idea how much they will need to save by the time they retire. If you are one in the 41% of millennials between the age of 18 to 34 who plan to retire when they reach a financial milestone, preparation is key to achieving that goal. Sitting down with a financial planner can point you in the right direction from early in the game about issues such as investments and retirement saving opportunities. Minimizing debt accumulation. 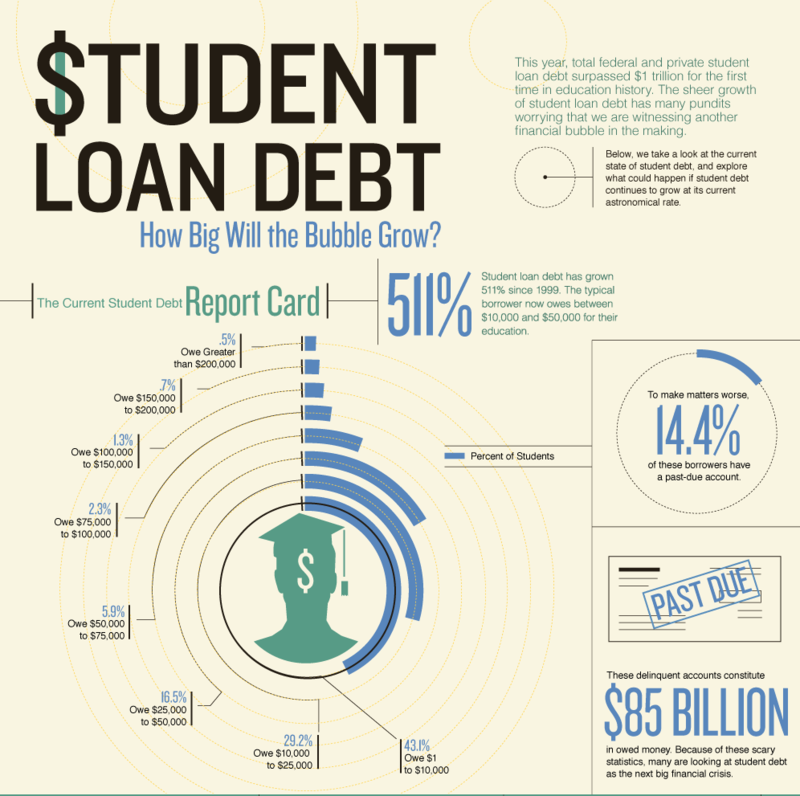 Multiple surveys indicate that student loan debt is one of the biggest headaches facing millennials. According to recent research statistics from Citizens Bank, many millennials are taking a negligent attitude about paying off their student loan debt. In the study, 59% of respondents surveyed had no idea how long it would take them to pay off their student loan, 45% said they did not how much of their income went to paying off their student loans; another 37% were unaware of the interest rate on their loan and 15% were oblivious of the amount of debt they actually had. But student loans are not the only debt concerns for millennials. What happens after college is also racking up debt that hinder savings for retirement. For instance; many are accruing more debt by using credit cards rather than saving for big expenses such as a car or the down-payment on a home. Financial experts advise that strategic debt reduction planning help to reduce student loans and can minimize the amount of debt incurred after college. Taking advantage of free money through employer supported 401(k) retirement programs. Exploring whether opening a Roth IRA would be advantageous for you. Implementing the most expeditious methods of getting rid of debt without neglecting retirement savings. Exploring stock market investment options. According to a Bankrate survey, only 26% of people under 30 years of age own stocks. This low percentile is primarily attributed to fear of the stock market. Millennials can alleviate unnecessary fear by talking to a financial adviser about their concerns. Also, ask about creating a diversified retirement portfolio to enhance your retirement income. Millennials who make saving for retirement a priority also take steps to educate themselves about personal expenses and economic trends and legislations that could ultimately affect their retirement goals.